Over 4,700 students were polled for the Student In-Class Travel Tally and 3,221 parents completed the Parent Survey. School administration from all 34 schools completed a School Policy Survey and existing sidewalk infrastructure was inventoried in 25 communities. Northeast Iowa RC&D worked closely with partners to compile data about Northeast Iowa’s infrastructure, attitudes and policy through the Northeast Iowa Safe Route to School Project. Then, after much discussion, input and evaluation, the Northeast Iowa Regional Safe Routes to School Plan was developed to provide guidance for Northeast Iowa SRTS Committees, students, parents, schools, administrators, county planners, and anyone else interested in working to create or improve safe route to schools. The publication is also useful as a planning tool for other rural areas of the United States or small communities that are looking for ideas or opportunities. Bound paper copies can be special ordered. Please contact us for further information. Tell us about your Route to School! Northeast Iowa RC&D is interested in hearing from you and finding out what you think of your “Route to School”. Is it safe? Is it great? Is there some thing or some reason that makes you unlikely to walk or bike? Send us a picture of you (and your friends) walking or biking to school with a few sentences about your “Route to School” and we’ll share them with others. 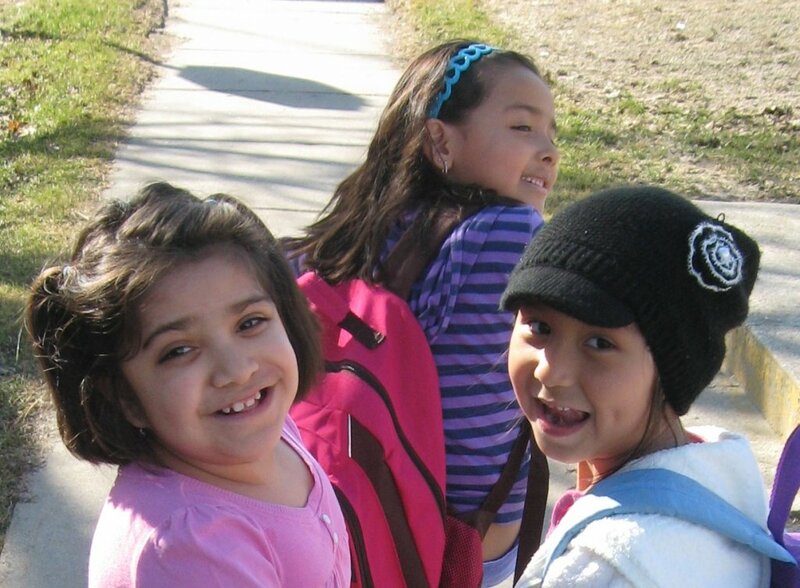 Get more people talking about Safe Routes to School!